Tennoji Park is a large park in Osaka with spacious lawns and recreation facilities, a traditional landscape garden, and a zoo. Osaka City Museum of Fine Arts is also located inside this park. The park’s history dates back to 1903 when the site was used for the Fifth National Industrial Exhibition. This exhibition was a great stimulus to the local economy and featured displays from foreign countries and the very latest technologies including a tower with an elevator, a theater with electrical lighting, American automobiles, and an illuminated fountain. When the exhibition finished its buildings were demolished and Tennoji Park was opened on the site in 1909. 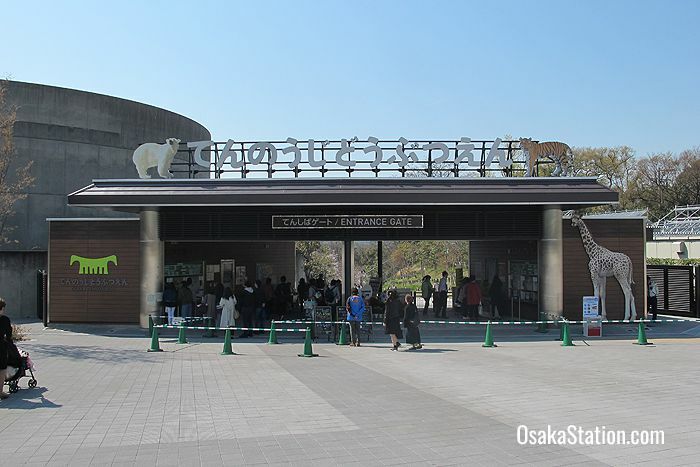 Tennoji Zoo was opened in 1915 and was the country’s third zoo after those in Ueno and Kyoto. 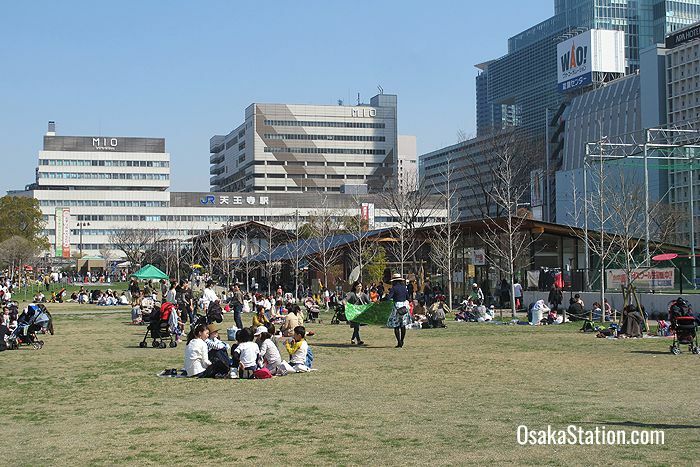 Tenshiba is the area of the park closest to Tennoji Station and consists of a large open lawn of grass which is a popular picnic and recreation space. Around the lawn are a variety of shops, restaurants, and cafes where you can buy meals, snacks, and ice creams. There is also a children’s playground and futsal court here. This area of the park was completely renewed in 2015 and is free to enter. Tennoji houses 1,000 animals of 230 different species. In recent years the zoo has made great efforts to house the animals in spacious zones that more closely resemble their natural environments. Areas of interest include the Koala House, Rhino House, African Savanna Zone, Flight Aviary, and the Elephant House in the Asian Tropical Rainforest Zone. The zoo is also closed from December 29th to January 1st. Keitakuen Garden is a traditional stroll garden with a large pond, viewing pavilion, stepping-stones and bridges. The garden was designed by a famous Meiji era landscape architect called Jihei Ogawa who also designed the Heian Shrine gardens and Maruyama Park in Kyoto. 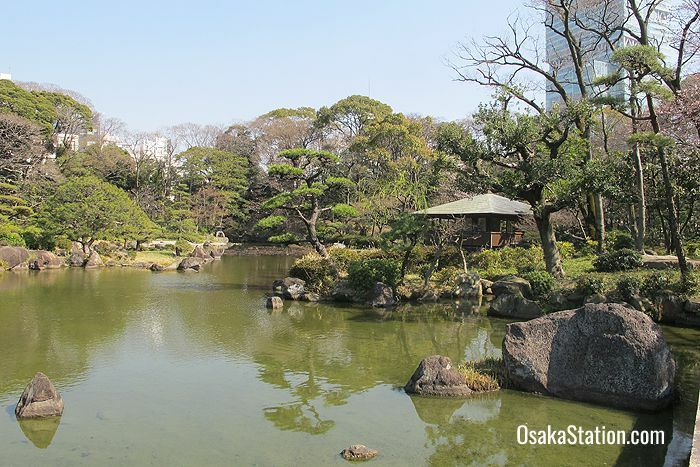 This garden was donated to the city by the wealthy Sumitomo family in 1926. Chausuyama is an ancient burial mound on the northern side of the park that was also the site of an fierce battle between the Tokugawa and Toyotomi clans in 1614. Today you can climb to the top, sit on a bench, and enjoy the scenic view over the Kawazokoike Pond below. This museum is housed in a historic building beside the Keitakuen Garden. 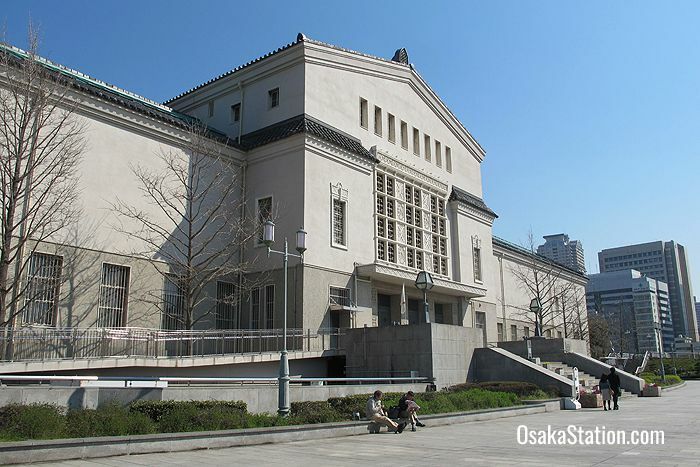 For information on this museum please see our article: Osaka City Museum of Fine Arts. 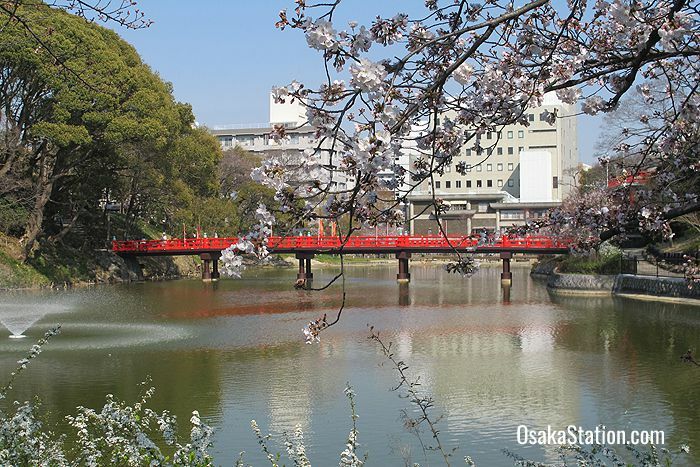 Tennoji Park is close to Spa World Osaka, Shinsekai and the Tsutenkaku Tower. 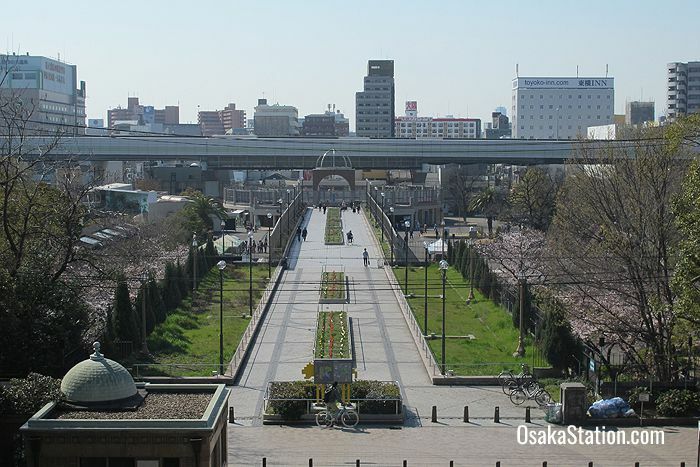 The park is immediately accessible from Tennoji Station which serves the JR Osaka Loop Line, JR Hanwa Line, JR Yamatoji Line, the Midosuji Subway Line, and the Tanimachi Subway Line. Osaka Abenobashi Station on the Kintetsu Minami Osaka Line and Tennoji-Ekimae Station which serves the Hankai Tramway are both just 5 minutes’ walk away.